Great looking, spacious. High quality. Well-equipped. Good to drive and very reasonably priced. Three petrol engines as well as new diesel from 2018. More expensive to buy new than previous generations of the Optima. GT versions provide a firm ride quality. 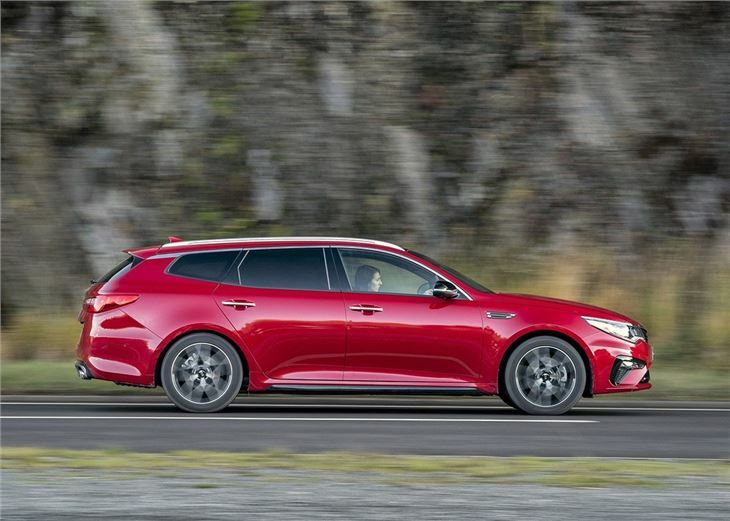 In the fine tradition of sexing up the estate car, Kia calls the Optima-based estate a ‘Sportswagon’. It evokes an exotic lifestyle choice rather than reflecting your basic need to carry a lot of stuff. 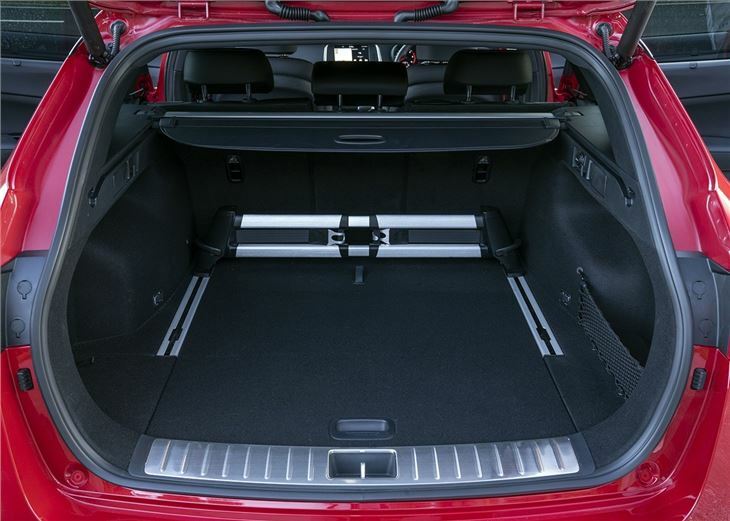 Fortunately, in a basic sense the Kia Optima Sportswagon is an estate that carries a lot of stuff. Mission accomplished. 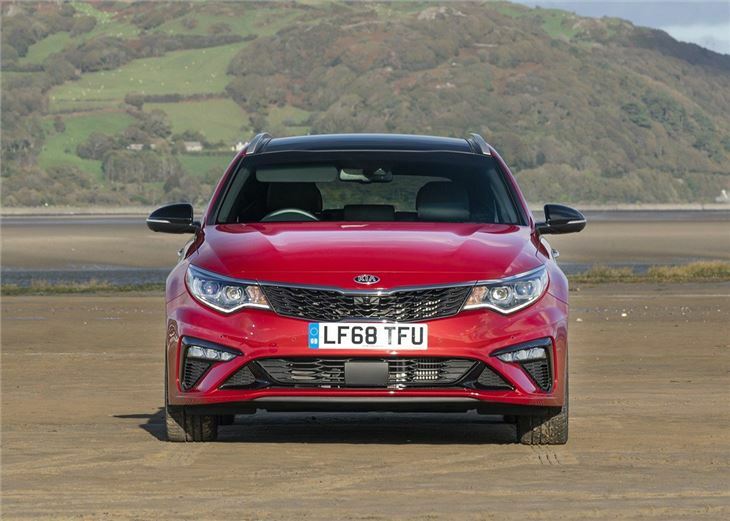 If the story ended there that would do, but in fact the Optima Sportswagon has plenty of appeal beyond simply being a very long hatchback. It’s a very stylish one for a start, but it also continues another fine tradition: of Kia models being high quality, generally lovely to drive and thoughtfully designed. They’re also, of course, reasonably priced too – though not the ‘cheap’ option they perhaps once were. 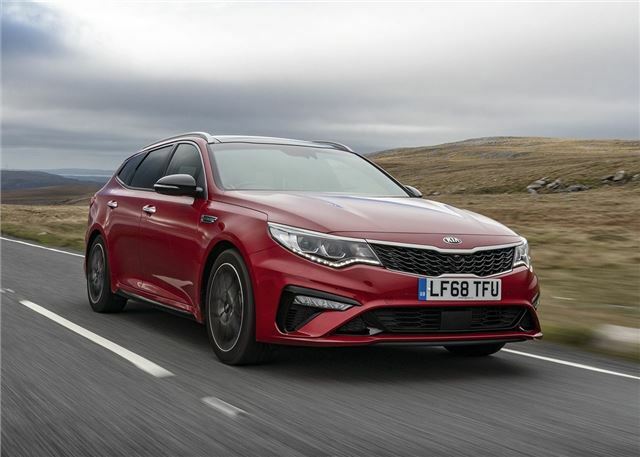 Prices for the Optima start at more than £22,000 - a couple of thousand pounds more than an entry-level diesel Toyota Avensis Touring Sports or Skoda Octavia Estate. And not far short of a Volkswagen Passat. Kia will point to the Optima’s superior standard equipment roster though, which in the company’s own words is 'unashamedly targeted at business users'. It includes touchscreen navigation, a reversing camera, dual-zone automatic climate control, Bluetooth, DAB radio, 17-inch alloy wheels, roof rails and one-touch folding rear seats. Three trim levels make up the range, named simply 2, 3 and GT-Line S (‘1’ obviously sounds a bit too entry-level), though (at launch in 2016) the 1.7-litre CRDi diesel with 141PS was the only engine choice. In 2017 a petrol-electric plug-in hybrid (PHEV) was added with up to 38 miles of all-electric range with CO2 emissions of 33g/km. In 2018 the 1.7 turbodiesel was replaced with a smaller and more efficient 1.6-litre CRDi. A 180PS1.6-litre T-GDi was also added, with a petrol particulate filter and seven-speed DCT transmission. The diesel comes with a dual-clutch automatic option as an alternative to the standard six-speed manual gearshift, but regardless, the Optima drives with a smoothness and solidity that's close to a Volkswagen. The manual gearshift may be a little on the light side, but the ride quality on non-GT cars is generally smooth (big wheels make it a little fussier over road surfaces) and ergonomics are fantastic. Anyone will find a comfortable driving position and there is no shortage of head or legroom in the rear. 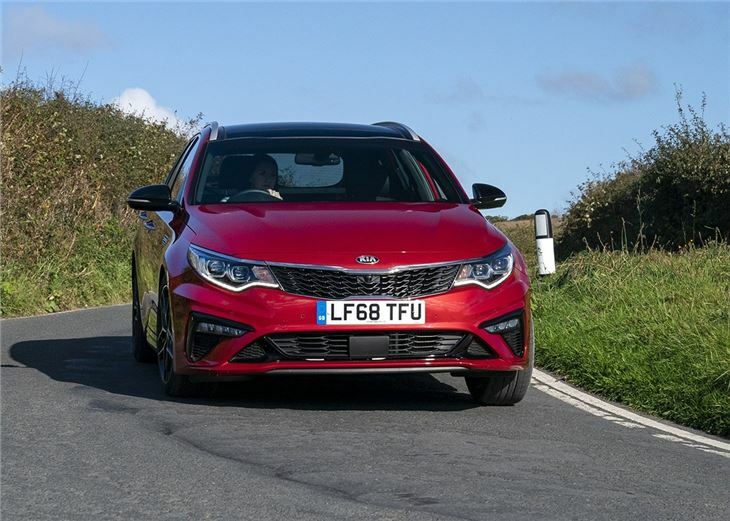 Aside from that the interior build quality is excellent – squishy surfaces in abundance – and another Volkswagen-like quality the Optima shares is a simple, intuitive cabin layout. 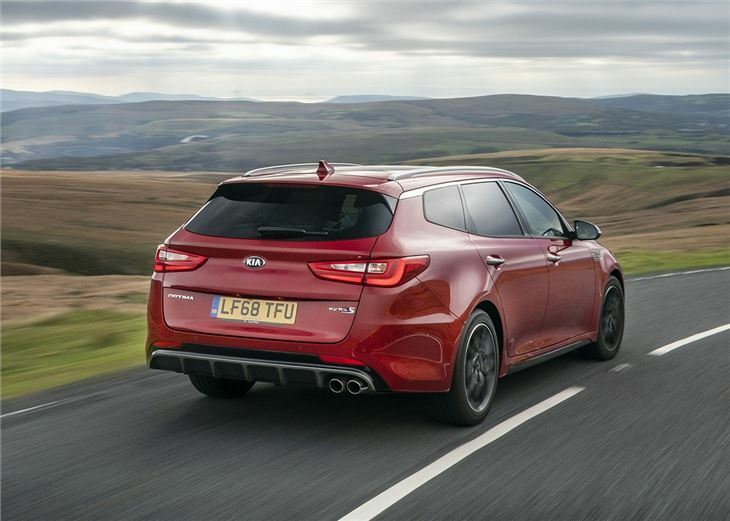 Add to that reams of safety equipment along with Kia’s seven-year, 100,000-mile warranty and you have an estate – sorry, a Sportswagon – that’s extremely easy to recommend.